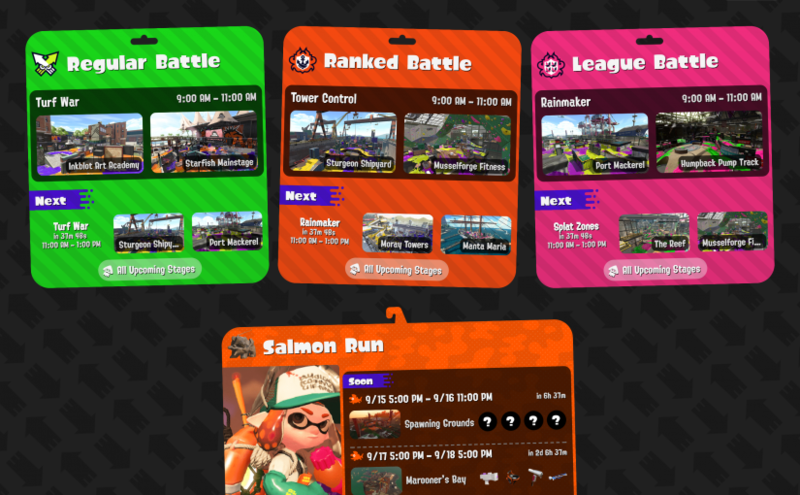 Background: I made Splatoon2.ink, a site that shows the current and upcoming map schedules for Nintendo’s Splatoon 2. It pulls data from SplatNet2, their app/site that connects you to game info via the Nintendo Switch mobile app. More information about the SplatNet 2 API can be found here, and source code for Splatoon2.ink can be found here. This new parameter appears to be an HMAC SHA256 hash that is likely made up of several pieces of user data and, potentially, a secret key stored within the app itself. Depending on how they’ve implemented this, it may be difficult or impossible to determine how to calculate this hash.